Each of our chefs is one half of a unique collaboration featuring at Tastemaker Chicago, and will be cooking in collaboration for one of our four sessions at the Tastemaker Kitchen. We're excited to blend their distinct culinary styles together to create never before seen menus for you at Revel Fulton Market. Stay tuned as we announce more awesome chefs and who they'll be mashing things up with this August. Growing up in Lowell, Mass., Abe Conlon's culinary beginning was heavily impacted by his Portuguese heritage and a strong Southeast Asian presence in his community. Alongside partner Adrienne Lo, Abe opened ‪Fat Rice in Chicago’s Logan Square neighborhood in 2012 as a return to his roots. The restaurant harmonizes the rich influence of his upbringing with his own unique culinary exploration. Fat Rice’s menu focuses on cuisines of the Portuguese speaking world with an emphasis on Macau presenting unique takes on heritage recipes that combine techniques and ingredients from Portugal, Brazil, Africa, Malaysia, India and China. In addition to Abe being honored as the 2018 James Beard Award winner for Best Chef: Great Lakes and named a “Rising Star” by StarChefs in 2015, Fat Rice has been recognized by Bon Appetit (Top 10 Best Restaurants in America, 2013), Jean Banchet (2013 Best New Restaurant winner/2015 Restaurant of the Year), a recipient of The Michelin Guide’s Bib Gourmand (2014 – 2018) and many others. In July 2016, Abe and Adrienne also opened The Bakery at Fat Rice, a Chinese Bakery and evening petisco bar, as well as The Ladies’ Room, a 250-square-foot craft cocktail lounge inspired by the fantan (Chinese gambling halls) and red light districts that proliferated around Macau in the mid 19th and 20th centuries. His most recent work includes releasing his first book, The Adventures of Fat Rice, a compilation of recipes that explores the vibrant food culture of Macau. Hunter by name and trade, Michael is an outdoorsman, forager and hunter. Born and raised on a Caledon horse farm, Hunter’s dream was to own a restaurant that would combine his love for food with a passion and respect for local ingredients. Formerly of Sassafraz, Luma, Scarpetta, and Reds Wine Tavern, he has used his experience in the outdoors to explore his culinary creativity, becoming chef and co-owner of Antler Kitchen and Bar. A Chicago-native, Ryan Pfeiffer balances simplicity of execution with complexity of flavor in a way that is perfectly suited to Blackbird. Pfeiffer began culinary school by happenstance; it wasn’t until instructor Timothy Bucci crossed Pfeiffer’s path that he inadvertently found his calling. Bucci, a member of the United States Culinary Olympic team, took Pfeiffer under his wing and encouraged him to join the school’s culinary competition team. It was during this time Pfeiffer steadfastly practiced his knife skills and developed a sense of teamwork, eventually becoming Bucci’s apprentice. After three years by Bucci’s side, Pfeiffer took a break from tweezers and meticulous plating and headed to California to further pursue a relationship with ingredients. There he spent time exploring the Santa Barbara fine dining scene before moving to the small farming and wine-producing community of Solvang in the Santa Ynez Valley. There, he worked at a trattoria under Chef Leonardo Curti, making fresh pastas early in the morning and manning a wood fire oven at night. Next, Pfeiffer worked at Brothers restaurant under chefs Matt and Jeff Nichols. The brothers’ laidback Californian mindset, coupled with the precision of French culinary training, is a mentality Pfeiffer carries into the kitchen at Blackbird today. Missing the Midwest, Pfeiffer moved back to Chicago to stage in various Michelin-starred restaurants, before finding a home in Blackbird. Under then Chef de Cuisine David Posey, Pfeiffer worked his way up from lunch cook to sous chef before being promoted to Chef de Cuisine in 2015. At Blackbird’s helm, Pfeiffer strives to create harmony between elaborately complex technique and organic free-flowing composition. In December 2014, Jonathan re-joined the family business, Birrieria Zaragoza as Executive Chef, overseeing the day-to-day operations. 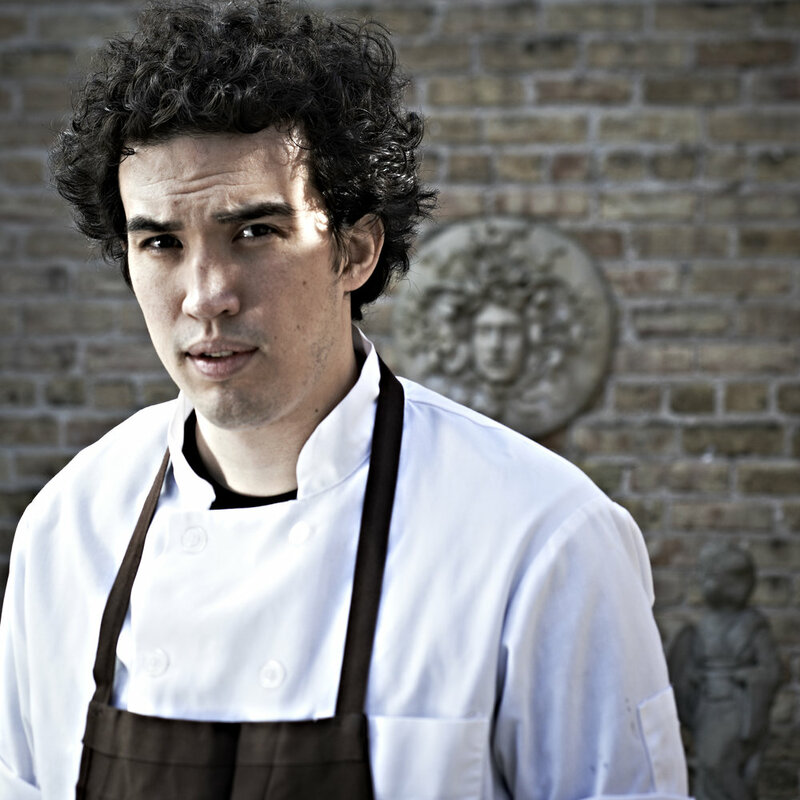 Prior to joining Birrieria Zaragoza, he served as Executive Chef at Logan Square's Masa Azul from 2012-2014. Previously, Jonathan worked as a cook in kitchens at Sepia from 2011-2012 and Trump Tower from 2010-2011. He started becoming interested in the kitchen at the youthful age of seven. Food is clearly important to the Zaragozas: both as a physical link between the generations and as a tangible way to keep the family sustained. Jonathan began helping his dad, John, cooking Birria since the age of 12. In 2007, when Birrieria Zaragoza opened its doors, Jonathan also helped to cook the specialty oven-roasted goat served there. At the young age of 22 (2012), ZAGAT selected him to be on the “30 Chefs Under 30 Chicago” list. To feed his creativity, Chef Jonathan enjoys doing collaboration with other businesses, Good Fortune, Sportsman’s Club, Mexico in a Bottle, The Central Collective, Honey’s, 5 Rabbit Cerveceria, Cellar Door Provisions, Butcher & The Larder, and many other national and international venues (New Haven, MI, Brooklyn, NY and Kansas City, MO, Ensenada, MX and most recently Wahaca in London, UK). He is a culinary consultant for the The Coca-Cola Company, Kraft Foods and Jim Beam. In October 2017, he was featured in the Hennessy commercials for Hispanic Heritage Month and was also invited to cook for BMW for select VIP clients as part of the Ultimate Driving Experience. Additionally, Jonathan consulted with Macho Taco in Justice, IL with all aspects of starting a business, including menu creation, and training chefs/cooks. In early 2017, he travelled to Dubai as a consultant to start a Mexican food truck “Hecho en Dubai”, including creating the menu and training staff on Mexican cooking. He has also had his share of TV appearances such as Travel Channel’s Bizarre Foods, Univision, Telemundo, Cooking Channel, WGN-TV, and Food Network doing what he loves best; cooking. 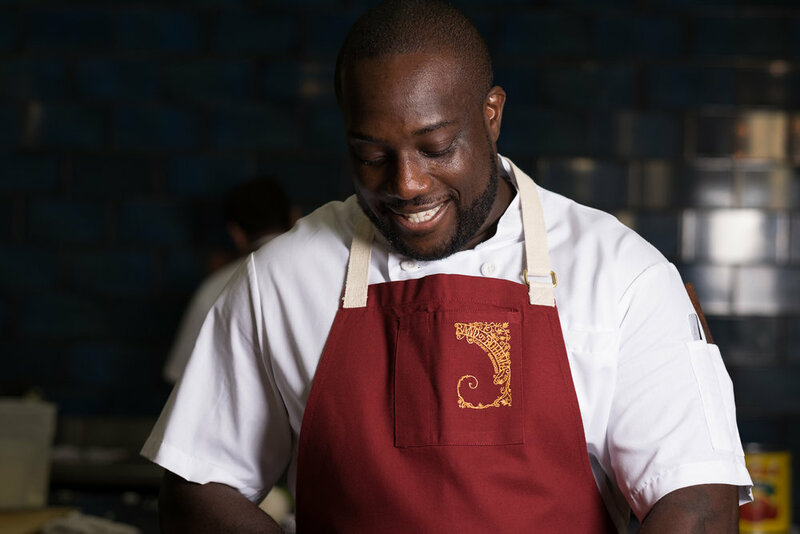 In May 2018, Jonathan was one of the winners of StarChefs’ “Rising Star Award 2018”. Jonathan also enjoys speaking at various schools which include grammar schools, high schools and colleges such as Moraine Valley Community College about his passion for cooking. During his free time, Jonathan enjoys spending time with his family and his dog, Wednesday, singing and playing his guitar and scribbling notes on his extensive collection of original recipes inspired by the Doñas in his life: his mom’s and grandmother’s cooking, in the hopes that sometime in the near future, he could write a recipe book. Pastry Chef Aya Fukai recently opened her own bakery, Aya Pastry, which utilizes her impressive pastry experience to showcase artisan breads, whimsical cakes, and pastries at a higher level. Her mission is to support Chicago chefs and business owners by providing an extensive bread and pastry program unmatched by other bakeries. Her current clients include Maple & Ash, Sparrow Coffee, Roister, Forbidden Root, Swift & Sons, Tempesta, Plum Market, Cherry Circle Room, Dutch & Docs, and the Waldorf Astoria. Aya’s culinary inspirations harken back to her childhood in Chiba, Japan, which included both dining in exceptional restaurants and plentiful home-cooked meals. She’s a perfect balance of her scientist father and art curator mother, who moved the family to Boston when Aya was nine years old. Graduating from Boston University with a hospitality management degree, her first kitchen job was at the Boston University Club. 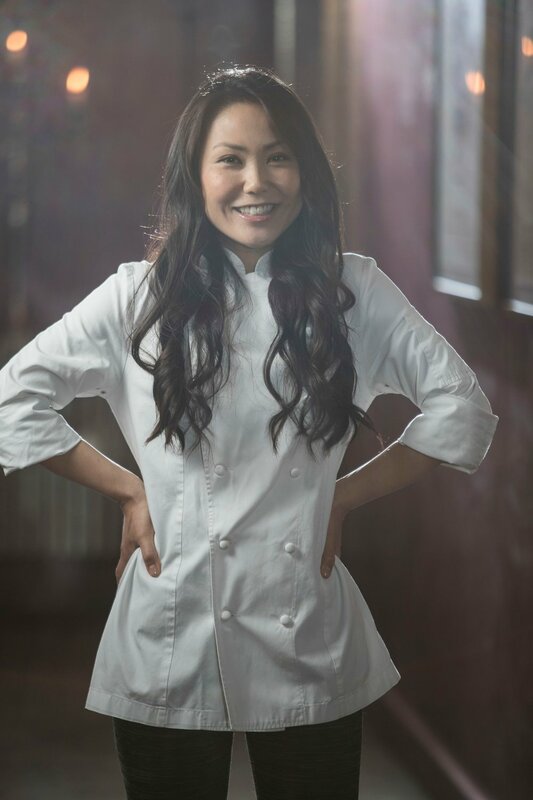 Her childhood dream, to “eat cake every day,” eventually turned into a career with pastry positions at Radius, and then at L’Espalier, where she met her mentor, Chef Jiho Kim. Menton, Boston’s renowned French restaurant, provided Aya her first pastry chef role. In 2011, Aya moved to Chicago to become the executive pastry chef at RIA, at the former Elysian Hotel, where her career took off. 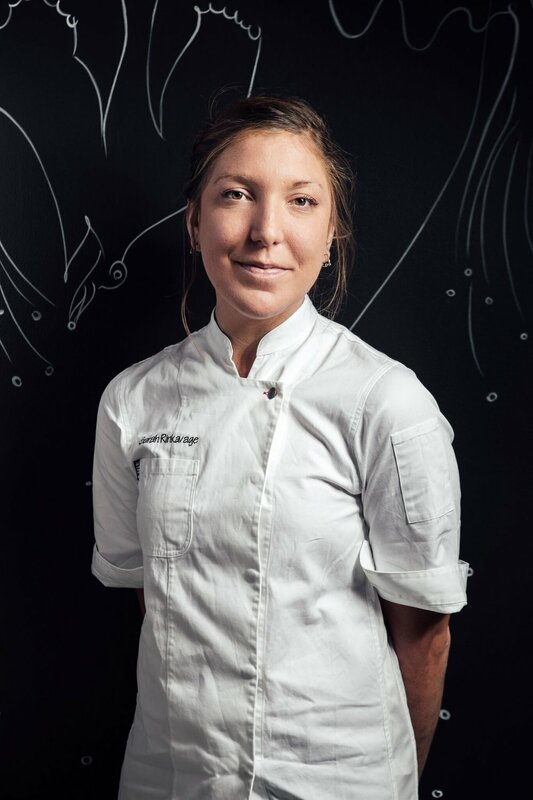 She became a finalist in StarChefs.com international pastry competition in 2012 and was nominated for Jean Banchet’s Rising Pastry Chef Award in 2015. She cultivated the bread and pastry program helping RIA and Sixteen at the Trump Hotel to earn two Michelin stars. In 2016, during her tenure at Maple & Ash, she was named Eater’s Pastry Chef of the Year, and in 2017, she was a semifinalist for the James Beard Foundation’s award for Outstanding Pastry Chef. 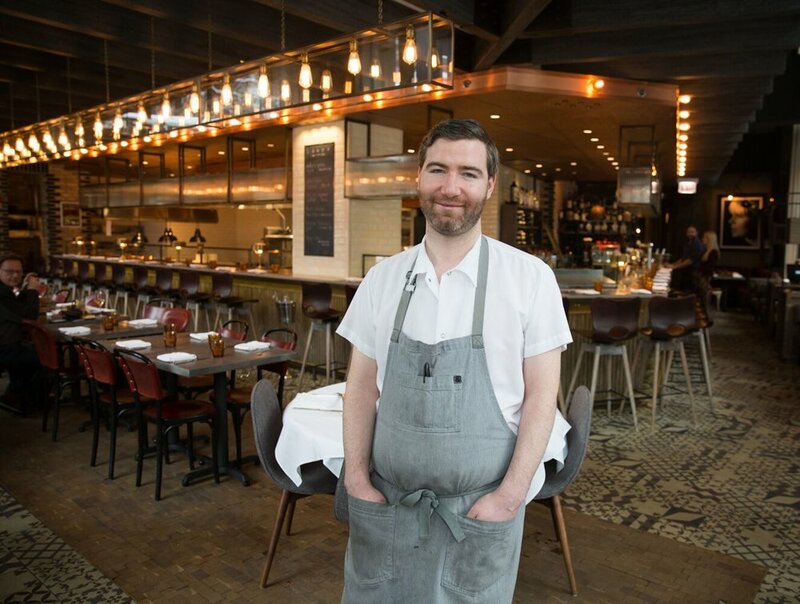 Chicago Chef Brian Fisher has worked coast-to-coast from New York to San Francisco. His time in kitchens across the country eventually led him back to his Chicago roots as Chef de Cuisine at Michelin-starred Schwa in Wicker Park. During his time there he explored many styles of cooking, international cuisines and use of seasonal ingredients. After leaving the restaurant in late 2016, Fisher made headlines for helming the kitchen at the Saved by The Max pop up in Chicago where he served classic, yet elevated diner fare. Fisher always dreamed of opening a restaurant of his own, and it became a reality with Entente, where he earned his first Michelin star in 2017 just after the concept’s one-year anniversary. Entente offers an ever-changing à la carte menu, inspired by seasonality, creativity and the melting pot of cultures that make up the diversity of the team. Diners are encouraged to create their own tasting menu from the à la carte offerings, with an elevated wine program and customizable beverage pairings available for each dish. In February 2018, Fisher was named a 2018 James Beard Award Semifinalist in the Best Chef: Great Lakes category. In May 2018, Fisher lead the culinary charge for the opening of the Saved by The Max L.A. pop up. An award winning chef, restaurateur, television personality and cookbook author. Elliot, a self-proclaimed "Navy brat" who has traveled the world and all fifty US states, has accrued many prestigious accolades including multiple James Beard Foundation Nominations. At age 27, Elliot became the youngest four-star chef to be named in any major U.S. city and was named one of Food & Wine magazine’s “Best New Chefs” in 2004. In May of 2008, Elliot opened his eponymous restaurant, Graham Elliot, which went on to become one of only 15 restaurants in the U.S. to be awarded two Michelin stars. As of February 2018, Elliot launched his first restaurant project in Asia, Coast at MGM Cotai. 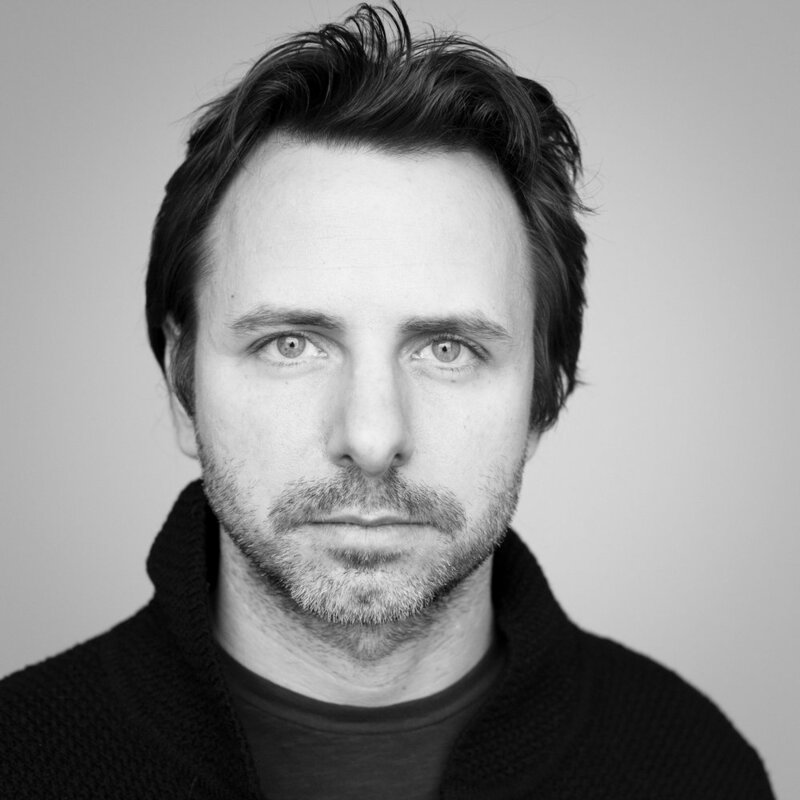 In addition, he’ll also be unveiling his new concept, Gideon Sweet, a collaboration with his friend and mentor, Matthias Merges, in Chicago’s West Loop. In 2013, Graham decide to make a life change and focus on his health and family, and to date, has lost an amazing 150 pounds (starting at 400 and now down to 250). Since then he has run a marathon and continued to keep the weight off so that he can spend more quality time with his wife Allie and his three boys, Mylo, Conrad and Jedediah. Sarah Rinkavage isthe Chef de Cuisineat Marisol, working alongside Chef Jason Hammel. At Marisol, Hammel and Rinkavage offer an ever-changing, hyper-seasonal menu filled with bright and contemporary flavors reminiscent of international artist Chris Ofili’s immersive art environment. Rinkavage places a strong emphasis on color and texture, pairing surprising-yet-simple ingredients together in layers of flavor and form.She takes her inspiration from the palette of the season, and elegantly prepares meats and seafood to highlight and dramatize vegetable-centered preparations. Most recently chef de cuisine of Hammel’s Logan Square institution, Lula Café, Rinkavage has become known for her introspective, thoughtful and sophisticated culinary style. Hammel says, “As a chef, Sarah loves to surprise. She connects to ingredients in ways that are new and innovative with an intuitive touch and a love for assertive, yet balanced flavors. Her style brings out a hidden beauty in ingredients through novel use of texture and color. New York native Ian Davis began his restaurant career at the ripe age of 18 years old when a boxing match misfortune required him to take a job as a dishwasher. As fate would have it, a broken hand started a lifelong culinary career. It was two years later that Davis decided to pursue his passion for food and enroll in the Culinary Institute of America (CIA). During his time at CIA, Davis traveled to London for an internship and, after falling in love with the city, stayed for a year. After working in one of London’s luxury five-star hotels, Mandarin Oriental, and Jean George in New York City for several years, Davis decided he needed a change. By quite literally choosing a city out of a hat, Davis made the move to Chicago. During his time in Chicago, Davis worked for 3 Michelin-starred Tru before continuing his career at James Beard award-winning Blackbird for 2.5 years. 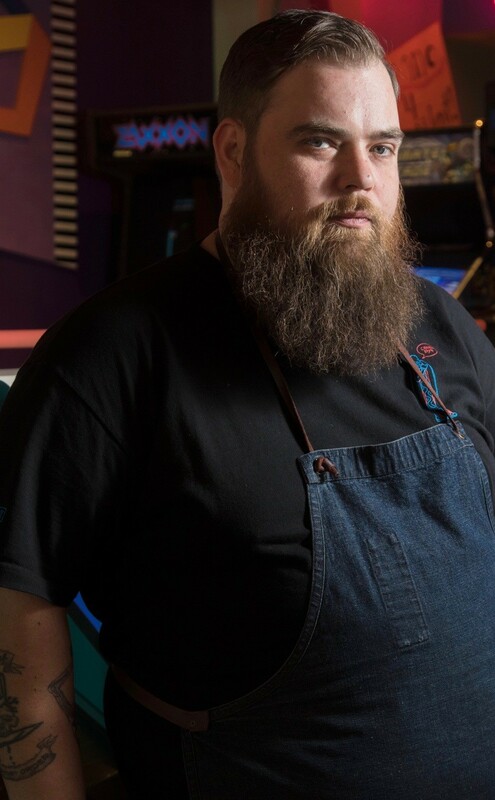 Prior to his start at Band of Bohemia, Davis worked as Chef de Cuisine at New York City’s Momofuku from 2013–2016. 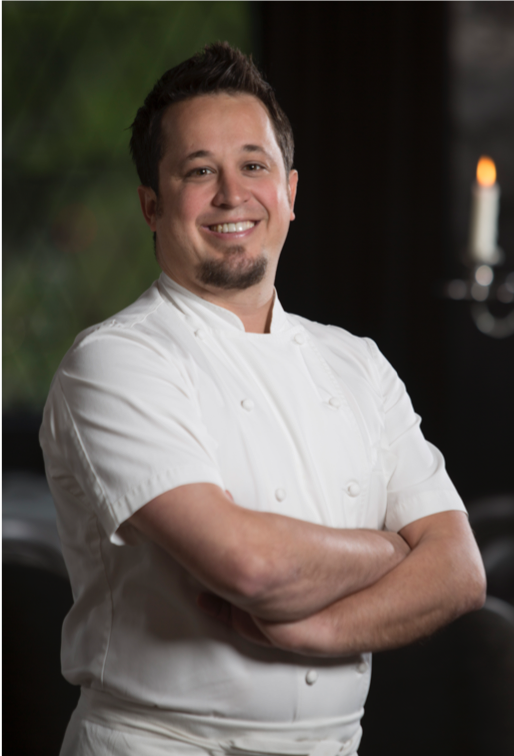 Davis’ passion for the culinary world expanded when he joined the Band of Bohemia team in 2017. As a firm believer in creating cuisine that “speaks” to guests, Davis draws inspiration from what speaks to him, the true melting pot: New York City. The components that go into each dish at Band of Bohemia are diverse, but the end result is a beautifully married dish that pairs perfectly with their curated beer offerings. 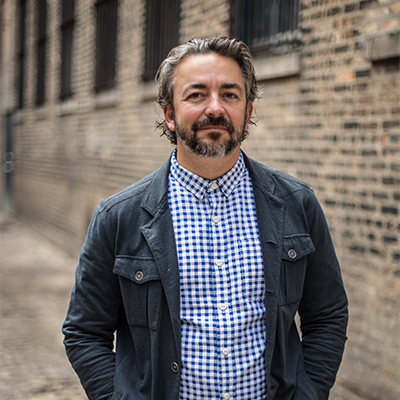 A longtime contributor to Chicago’s culinary and hospitality community, Merges is deeply passionate about giving back and leveraging the industry’s resources for philanthropy. He is the co-founder of Pilot Light, a locally-based charity that connects chefs and teachers, using food to support effective classroom teaching and learning. Merges is the proud husband of studio designer Rachel Crowl and father to Kaitie, Gretl and Tatum. In his free time, he’s an amateur photographer and climber. For reasons unclear to everyone else, he studies sailing routes and oceanic currents but doesn’t own a boat. A Long Island native, Chef Danny Grant began cooking at a young age with his family in Scottsdale, Arizona. He moved to Chicago in his early twenties and began cooking for 2003 Food & Wine Best New Chef, Bruce Sherman, at North Pond. After four years as a sous chef at North Pond, Chef Grant left to cook abroad in Paris and attend The French Pastry School to round out his skills. He later came back to Chicago to serve as sous chef for NoMI Restaurant. Chef Grant’s classic French training and forward-thinking vision work in concert to consistently turn out elegant dishes with sharply focused flavors. His career dropped into high gear in 2009, when he became executive chef for RIA and Balsan Restaurants at the former Elysian Hotel, where his respective French and European bistro menus earned him Food & Wine’s “2012 Best New Chef” award. Chef Grant was the youngest US Chef to earn two Michelin stars in both 2011 and 2012 at RIA. While there, he also earned perfect four-star reviews from the Chicago Tribune and Chicago magazine. In 2015, he joined What If…Syndicate. Now, the award-winning portfolio of brands – Maple & Ash, Mavens & Aficionados, 8 Bar, etta, and Aya Pastry – are the center of a growing hospitality group. Chef Grant always encourages a fun, lively atmosphere in both the kitchen and the dining room and is often found mingling with guests throughout dinner service. Danny applies the same enthusiasm and zest in his family life--when he is not cooking, you can find him either playing nerf guns with his son Dean or out eating pasta with his daughter Delilah.